@HtwoN: Erina might lose to Tsukasa, though. 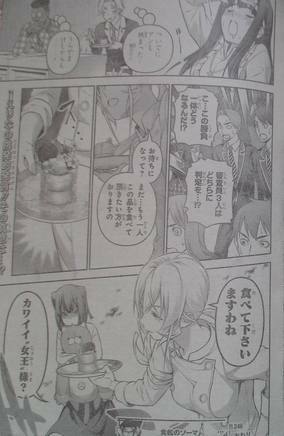 Her losing to Tsukasa in this Regimental Shokugeki shouldn't make her any less of a second-to-last boss for Souma to beat before his dad. But of course, the final bout could also be Souma + Erina vs. Tsukasa + Rindou. That way Erina won't lose. And I think that's more likely. Souma and Erina teaming up against Rindou and Tsukasa. If Erina lost to Tsukasa and Souma won against him, that would have established that Souma is better than Erina. That isn't good. Erina should not lose to anyone now, cuz she will establish herself as "the queen of the academy". If she doesn't lose to any female chef then she is still queen. But that can be established if she beats Rindou which we're unlikely to see it happen. But at least few months later she will be no doubt the best female chef. @AP24: It's likelier for Souma and Erina to team up against Rindou and Tsukasa in the final bout, isn't it? Erina shouldn't lose until then. I wonder what if Tigre is on this world? Or maybe Soma and Tigre's world are accidentaly swapped into each other. As soon as I saw your name in this thread, for some reason I got the feeling you'd have brought this up here. Yeah, this might be good. Although Tigre would freak out because of the technology if he ended up coming to the Shokugeki no Souma universe. Remember he lives in the Slavic parts of Europe in the medieval era. Maybe Some may also freak out as well since he will not be using modern technology to cook. Yeah, we will. We'll be getting spoilers by Wed/Thurs like usual now. So Erina made a pancake for her dish huh. Looks like we can get some good reactions from the girls (Ann and Urara) who tasted her dish lol. Need some picture to see if this is legit. It's posted by bakadata, so it's legit. What's interesting is that Erina is not just making pancakes, she's actually making dorayaki. I had a feeling Erina was also making sweets but I didn't expect that she would be making dorayaki too. I guess it's fitting for avenging Megumi. Winning on her own against the 3rd seat in her field of specialty would show just how strong Erina really is. It looks like the winner might be announced in the next chapter. The spoilers sound good. Looking forward to the chapter. 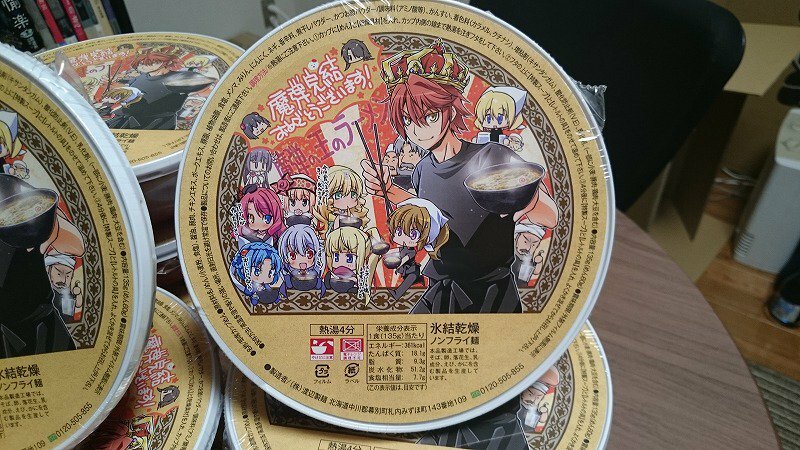 Turns out Erina can be just as vengeful with her dishes as Soma is with his. Not sure which is better, 1st or 2nd pic? Is it only me or despite being so different she acts very much like Soma?